FILE PHOTO: People walk by the Pennsylvania Judicial Center Tuesday, Dec. 8, 2015, at the state Capitol in Harrisburg,. The decision may make grand jury reports, like the recent one looking into child abuse in six Pa. Roman Catholic dioceses, much less common. 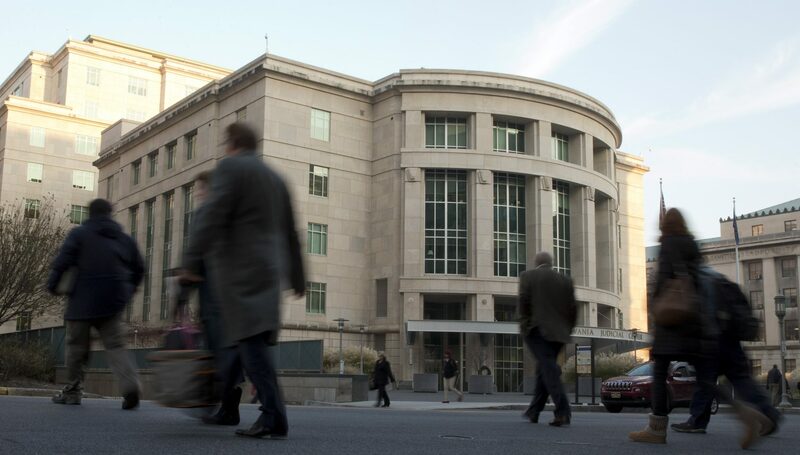 (Harrisburg) — The state Supreme Court recently ruled that a group of current and former clergy members could not be named in a grand jury report implicating them in child abuse and cover-ups in six Roman Catholic dioceses.